Investors and serial entrepreneurs usually entertain some good and many not so good investment memories respectively. 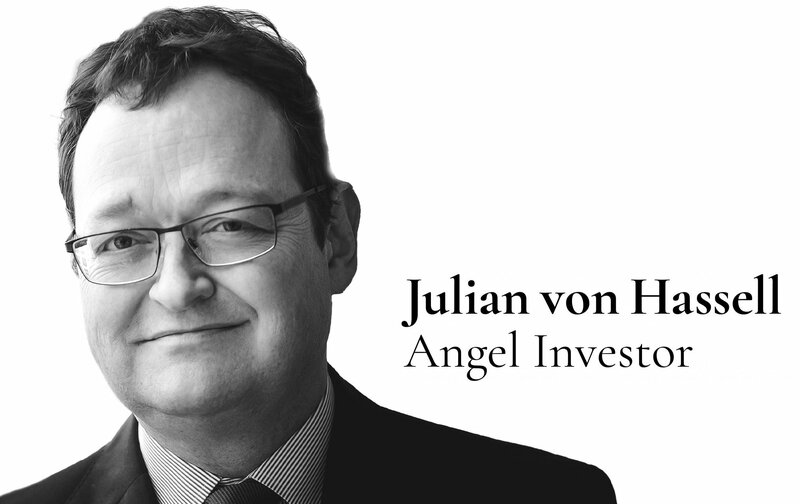 Angel investors, who usually previously either worked as VCs or (serial) entrepreneurs therefore tend to be biased towards certain investment targets, certain technologies, certain types of business model etc. Their previous roles as investors (fund managers) or (serial) entrepreneurs make angels believe they have accumulated investor wisdom and experience which they may now share with their targets. Being an angel myself I think I know what I am talking about… And yes, angels tend to be a little vain as well. Angels usually somehow made it: They accumulated enough dough to be able to afford reinvesting most of it somewhere. It is therefore somewhat natural for them to believe that their success is a function of their savviness as investors and/or start-up evaluators. Angel vanity reinforces the biased or prejudiced angel disposition in a way that makes it usually impossible to argue, decide or act against it. I am not saying angels display their assumed know-how and arrogance in a presumptuous, disgusting way. No, they are usually not even aware of their intellectual arrogance. It’s simply difficult for them to opine in a way that differs from their gut opinion. 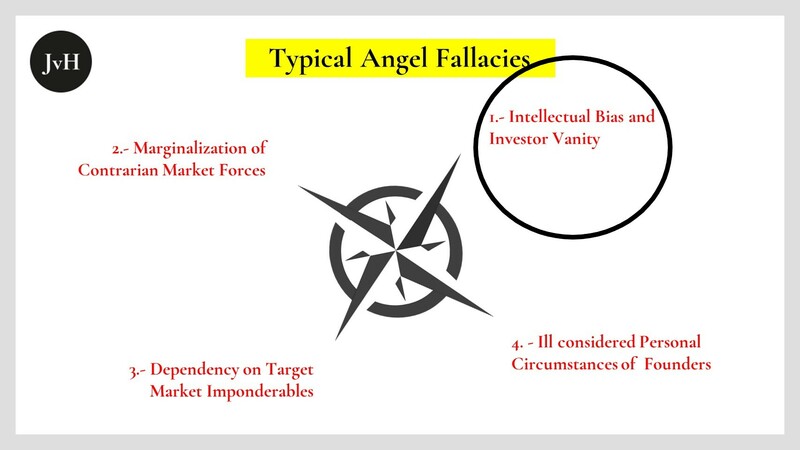 Unfortunately, both angel biases and angel vanity are completely unsubstantiated. To begin with the latter: The previous success of somebody who has become an angel may very well have something to do with her or his abilities. But it is never ever exclusively thanks to the managerial, intellectual or investor qualities, that this person succeeded in whatever they did before. There is always a substantial element of luck, which, of course, is almost always eliminated in retrospective rationale. Just yesterday I read an article in German business weekly WirtschaftsWoche about managerial hubris. The article quoted Daniel Kahneman’s (about whom I also post a lot these days) “Overconfidence-Effect”, which shows that people in general and managers in particular know far less than they actually believe they would. Their hubris may well have served as an asset when angels were still in their previous roles in that it may have helped them collect stamina, resilience and persuasive powers. But in their angel capacity, where analytic precision and a and somewhat distanced “cool” are in demand, arrogance is a hindrance. And there we hit the second issue: Even though our angel may well be a good brain or good manager, the specific reasons for her or his previous success are virtually unknown to her or him. They are kind of hidden in a haze. Slovic, Kahneman and others found out in several empirically validated tests: Super expert prognoses differ far more significantly from actual results than those of their semi expert colleagues when it comes to anticipating the performance of job candidates. And I am afraid they also “err” more gravely than their non-expert competitors. What is worse: It is not just the case that we know far less than we generally think we do. We also make a lot more mistakes than we think we do. And experts are in no way immune against those. To the contrary: Their arrogance fosters their rash judgement. Now, all this may not be very new to my readers. But what I did find really most interesting when reading Kahneman’s Thinking, Fast and Slow is that there is an even bigger likelihood to arrive at false investment decisions, when the choices are presented in very concrete, visible and, perhaps, even human shape. On Monday I quoted Slovic’s “denominator neglect”, which tries to explain why people sometimes tend to prefer a bad lottery (six out of one hundred) to a better one (one out of ten). This denominator neglect apparently only happens, if you can imagine or physically see the winning lots (red marbles). It does not work, i.e. people do not commit this mistake, when presented with an abstract choice (p=0.06 vs. p= 0.1). In this regard I think investing in start-ups is very different from investing in securities. This might explain, why VCs and angels tend to often invest with irrational confidence but pretence of rationale (“KPI”s) into start-ups although they should know that their reasoning is based on almost nothing but gut feeling, personal confidence and hope. It may also explain, why this is a typical and, for want of better judgemental resources, almost unavoidable angel mistake whereas Guy Spier’s caveat with regard to value investments is just a warning addressed to himself as a particular investor.